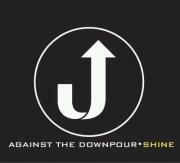 A Day Late and A Dollar Short: Against the Downpour - Vote for them in ATL's Battle of the Bands! Against the Downpour - Vote for them in ATL's Battle of the Bands! Hi everyone...taking a side-step in posting for a minute to let you know about a great competition going on here in the ATL. It's called the Battle of the Bands, and it's put on by a local radio station - Fish 104.7. This group, Against the Downpour, is managed by one of my high school friends, Lorri. Please stop by YouTube and watch this video. The band with the most views wins (I think that's how it works--I'm not 100% clear on the specifics)! I watched the video, and they're pretty good! Good luck Lorri and Against the Downpour!